Replacing Your Old Roof: What Can You Expect? You are here: Home / Roofing / Replacing Your Old Roof: What Can You Expect? All roofs weaken with age. The prolonged exposure to the elements contributes to the ongoing wear and tear of the system, resulting in leaks and other damage. When your roof has reached or is approaching the end of its service life, the only thing left to do is to have it replaced. This project can be quite overwhelming if you are not well-prepared and equipped with the necessary knowledge. 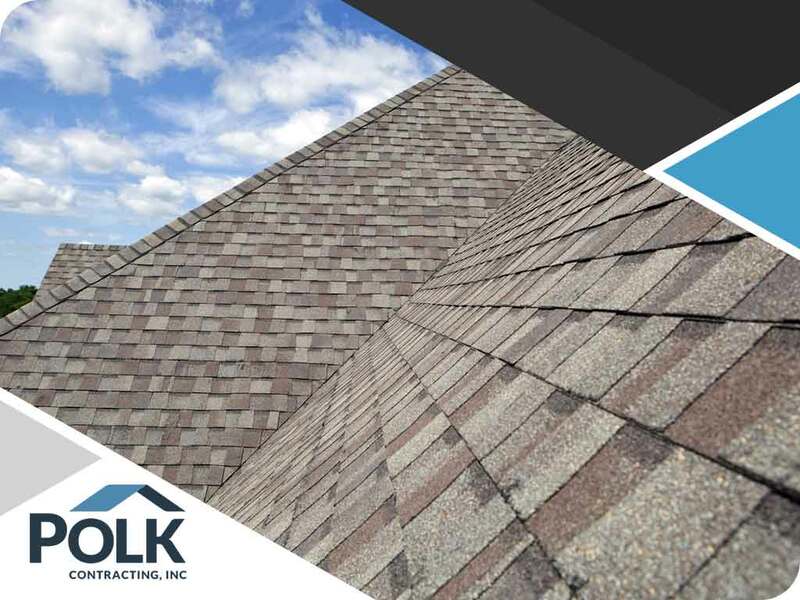 Polk Contracting, Inc., your local roofing contractor, discusses things you can expect when you decide to replace your old roof. Like any other major home improvement project, roof replacement involves complex work. While it can be tempting to do it on your own, there is no guarantee you will get better performance out of your roof in the long run. That said, it is best you leave the hands-on labor to a trained roofer. When you plan a roof replacement project, start by hiring an experienced contractor. Check their credentials, including certifications, to determine whether the group has a license. More importantly, see to it that the group carries insurance. A roof inspection starts soon after you have selected your roofer. As your trusted residential roofing service pros, we take time to check all the parts of your roof. We identify areas where repairs may be implemented. We do this to ensure the whole process of replacement goes through without any complications. With that in mind, it is imperative you prepare your budget beforehand. Allot enough funds to cover all project expenses, including any unexpected charges that may manifest as your old roof is being replaced. Regardless if it is repair or replacement work, you must not skip on getting the necessary permits. An inspection will happen once your new roof is installed. It is to determine if the project complies with the building codes in your local area. Count on Polk Contracting, Inc. to deliver on your plan to replace your old roof. Whether it is repair or replacement, we have you covered. We are also an insurance restoration contractor, ready to offer our expertise when your roof suffers storm damage. Give us a call at (410) 660-2922 for more information. You may also fill out our contact form for a free, no-obligation quote. We serve residents of Abingdon and Bel Air, MD.